Enjoy the thrill and excitement of betting and watching live horse and greyhound racing including the 2017 Triple Crown races with BetAmerica and watch more than 3,000 live races each week from around the world! Regulated, licensed and based in the U.S. we make betting the races fun and exciting in a safe, secure and legal environment. 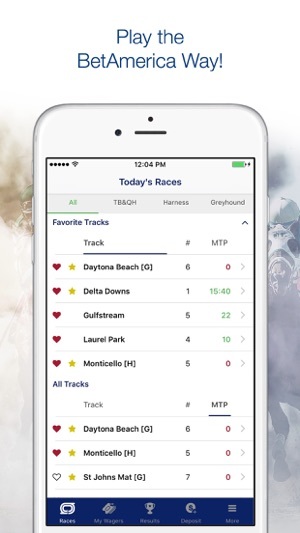 All bets placed with the BetAmerica app are placed directly into racetrack pools and winnings are paid at full track odds. There is no maximum payout! All your favorite wagers accepted; Win, Place, Show, Exacta, Trifecta, Superfecta and all multi race exotics. Watch, bet & enjoy international live racing from Canada, U.K, Ireland, Australia, South Africa and more! Bet on all major horse races including the Kentucky Derby, Preakness Stakes, Belmont Stakes and all other big events. Get today's horse racing results! 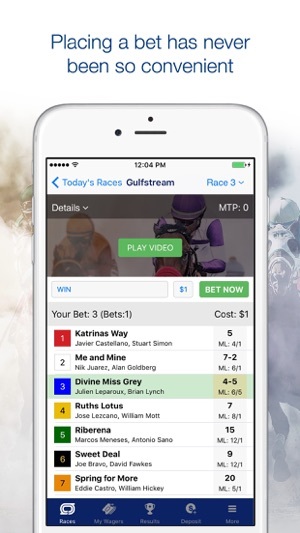 Maximize your odds of winning with free handicapping information on all races! 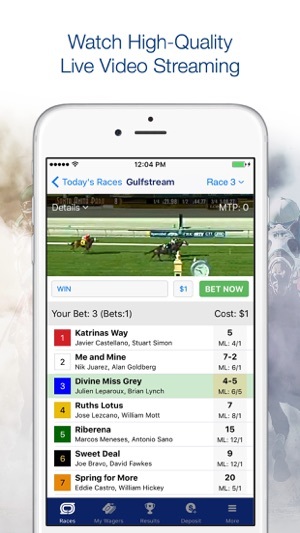 Install BetAmerica today – The best horse & greyhound racing betting app in the world! I’d been with TVG since 2004; at first they were great, very friendly folks helping both online, on the phone and at tracks like Los Alamitos, Hollywood Park, etc., and their deposit rates and rewards program were fair...but then Betfair took over. All of a sudden, deposit rates went through the roof. Now that I moved from Ca to Ny last October the option of switching to BetAmerica intrigued me, and boy am I glad I did. Customer service is very friendly, the deposit rates are minimal, and I get points easily converted to cash with each wager. Thank you for giving the moderate player an affordable and easy to use platform to enjoy the sport of Kings!! 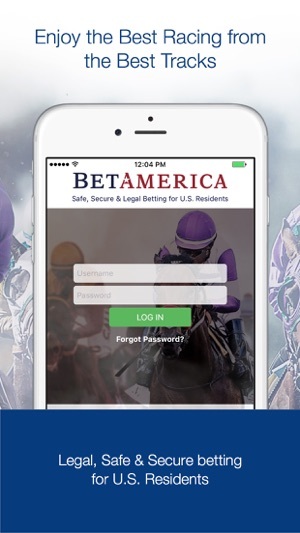 I have been a BetAmerica user for more than 10 years and always find the app working, easy to use, simple to navigate and fun to wager with! Making zero fee deposits and withdrawals, at any nearly amount I want is a key benefit of using BetAmerica. No takes from my winnings either - what I see on the video as the payout, is my payout!